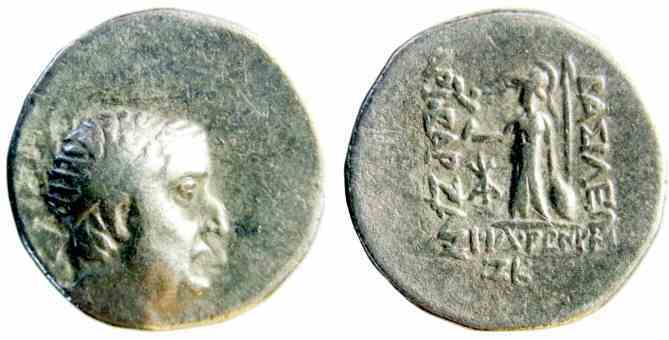 Silver drachm, 16mm, 3.6gm, issued 70/69 BC. Rev: BAΣIΛEΩΣ APIOBAPZANOV ΦIΛOPΩMAIOV (ZK in ex. ), Athena standing left holding Nike and shield, monogram to left. References: Sear 7302, Simonetta 37b.